In these waning days of 2012, when so many of our clients are working to give assets to their children or grandchildren to take advantage of the $ 5.12 million federal estate tax exclusion, I wanted to take a moment to warn against the accidental gift–something I’ve seen a lot of these last few months as well. What’s an accidental gift? It is the transfer of an asset for less than fair market value. Even though it may not have come with a ribbon, such a transfer still qualifies as a gift under our tax code,and, if it is worth more than $13,000 (in 2012, and will rise to $14,000 in 2013) that’s a taxable gift. A client will sometimes come to our office already having made such a transfer, and they are often quite surprised (also not happy) when I tell them that they have to report that gift on a gift tax return by April of the year following the gift. 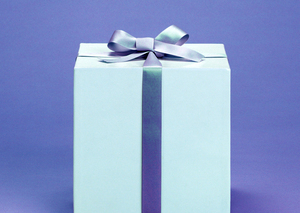 Here’s a list of the most common accidental gifts that I’ve seen this year. 1. Putting a child’s name on a parent’s deed. That’s a gift of one-half the value of the house to that child. Here’s a better idea: create an estate plan that allows your child to inherit that house at your death. This avoids any lifetime gift and they’ll inherit the house at a stepped-up basis. 2. Lending a child money with no interest. That’s a gift to your child of the value of the interest that you are not charging. Here’s a better idea: lend your child money at an interest rate equal of the applicable federal rate (afr), which is published monthly. Also, put the loan in writing. 4. Giving your child money for college tuition in excess of the annual exclusion amount, which is currently $13,000. That’s a gift to your child of the amount of the gift over the annual exclusion. Here’s a better idea: pay the institution for that tuition directly–that payment is excluded from the gift tax as long as you make it directly to the institution. 5. Giving your child money to pay a medical expense in excess of the annual exclusion. That’s a gift to your child of the amount of the gift over the annual exclusion. Here’s a better idea: pay the medical provider directly–that payment is excluded from the gift tax as long as you make it directly to the medical provider.